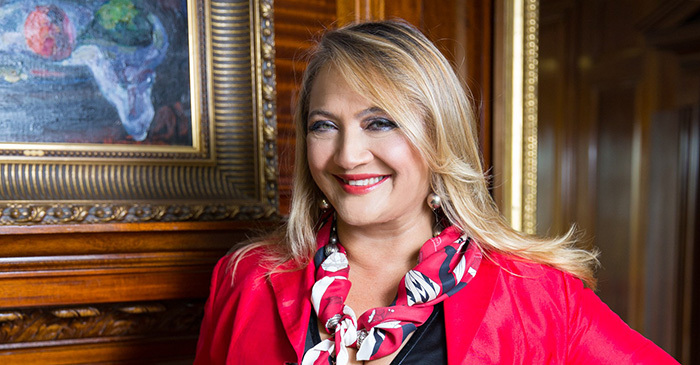 Ayesha Vardag is one of the world’s most recognisable divorce lawyers. Speaking to Child & Child partner Kevin Poulter in the latest episode of The Hearing podcast, the ‘diva of divorce’ discusses law reform, politics and her rise to legal fame. It was, however, a “series of accidents” that brought Vardag to family law. She joined Linklaters as a fresh-faced Cambridge law grad and later qualified into the firm’s project finance team. Seconded to Moscow, Vardag worked on “big money” cases and carried out complex legal research — skills that would ultimately help shape her own family law practice. A brief spell at US outfit Weil Gotshal followed before Vardag moved across to the bar and pupillage with London’s 4 New Square. Unfortunately, things didn’t go exactly to plan. Impending divorce and two toddlers to take care of meant Vardag was forced to abandon her barrister dream. But it was while working on her own divorce, alongside renowned family lawyer Raymond Tooth, Vardag finally “found [her] niche”. So impressed by her legal skills Tooth offered her a job at his firm — “it was very Erin Brockovich”, she tells Poulter. It was a “strong foundation” that empowered Vardag to bring City-level quality to family law when she set up her firm Vardags 13 years ago. Originally housed in a “little, quaint Victorian office” in the heart of Temple Bar, the opera-trained singer tried to recreate the “Dickensian” feel in the firm’s current base at St Paul’s. “The law we do is so deeply personal that it’s important our clients feel at home,” says Vardag. She famously represented Katrin Radmacher, a German heiress, in Radmacher v Granatino, the Supreme Court case that gave legal status to prenuptial agreements in England. She’s also involved in reforms to no fault divorce, having lobbied the issue at a “lively” Conservative Party conference where outspoken journalist Katie Hopkins turned up wearing her wedding dress. Now a leading family practitioner, Vardag is asked for her view on ‘forum shopping’, the practice where international litigants come to London for more favourable divorce judgments. With Brexit likely to throw a spanner in the works, Vardag is hoping Europeans will continue to be welcomed under a new special regime. “I hope to see London as a global cosmopolitan, a properly eclectic hub for all the world, rather than a fortress Europe,” she says. On the future of her firm, the diva of divorce has plans to diversify and enhance the Vardag offering. Employment law, property law, and given the nature of her clients, media and sports law, are all areas she’s hoping to tap into. “it was very Erin Brockovich”, if Erin Brockovich had been a graduate of one of the world’s top universities and trained at a magic circle law firm. For some reason, I really don’t like this article… I’m not quite sure what it is but it just irritates me for some reason. I like the topic, the interviewee and the fact that it’s not a story from Tommy boy; but… it’s just not doing it for me. A gradual slide to the bottom: Cambridge, Linklaters, 4 New Square, family solicitor. Temple Bar? Was the office located in Dublin?